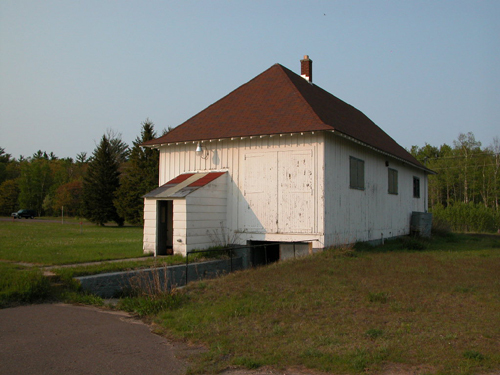 Original photograph of the Portage Lake Ship Canal life saving station. Still in operation in a new location now. William Steele was appointed keeper on 9 MAR 1885 and was discharged on 4 OCT 1886. Albert Ocha was appointed keeper on 4 OCT 1886 resigned 24 SEP 1891. George A. Smith was appointed keeper on 24 SEP 1891 and resigned on 27 JAN 1900. Thomas H. McCormick was appointed keeper on 19 FEB 1900 and was still serving in 1915. 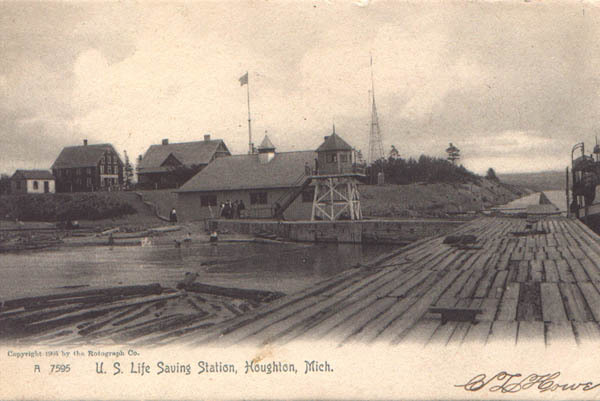 Although this station was moved several times almost every photo you find is of the station when it sat on the west entrance to the Portage Lake Ship Canal. 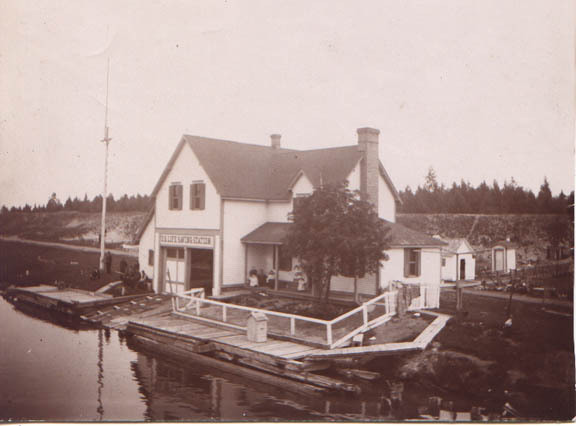 It then moved to the east side of the canal and the current station sits right in the middle and is still in operation located at Dollar Bay. 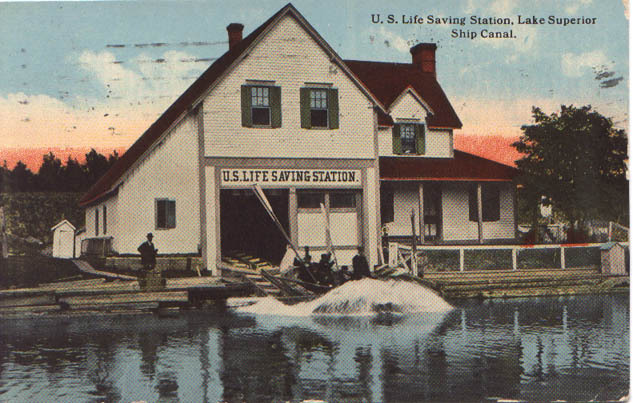 While the original station was built in 1884, the color photographs below show the new station at the time which was built in 1935 because of the ship canal being widened for larger vessels passing through. 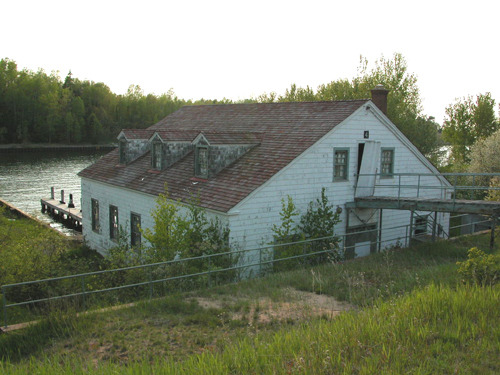 The river side view of the station house and crew quarters. 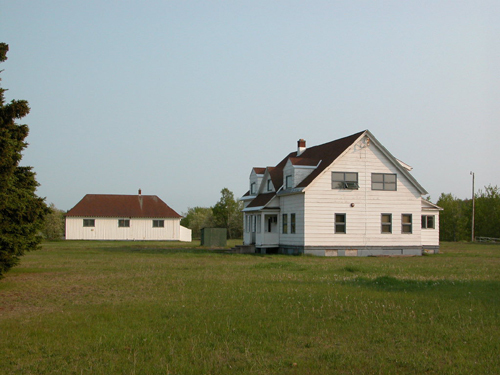 The small storage shed is located behind the far house in this photo. Behind this view would be the original 1800's boat house and to the left and behind would be the newer 3 bay boat house. 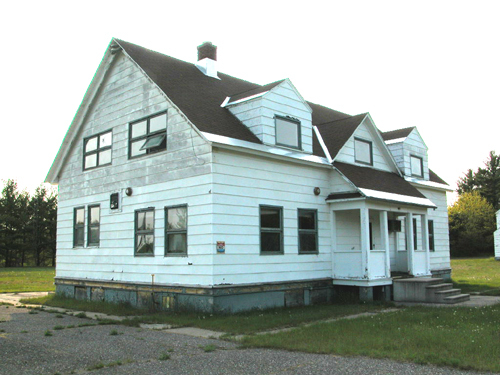 The front view of the crew quarters building from the river side. The side view of the crew quarters building from the river side. 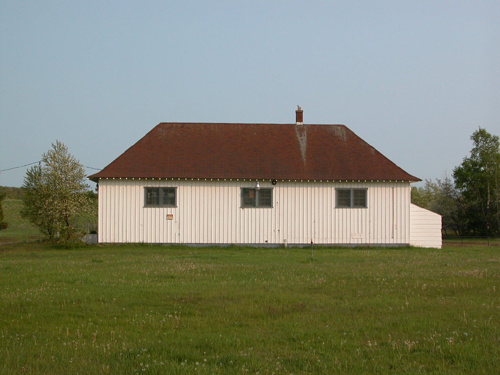 An angled side view of the station house building from the road side. 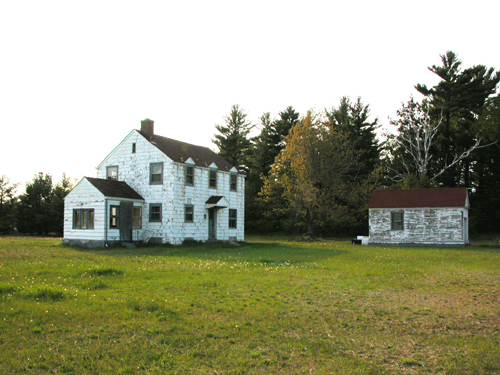 A road side view of the station house and the original 1800's boat house buildings looking from the crews quarters building. 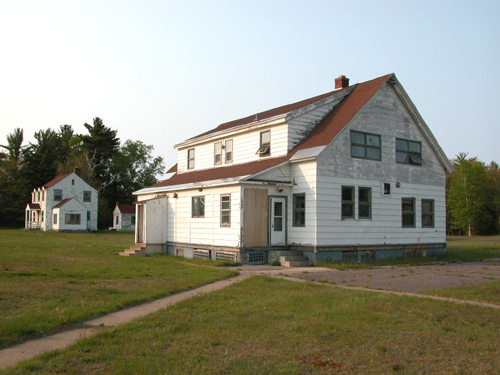 Looking at this crew quarters house from the road side of the station you can see a small storage shed located behind it..
Front view of the ship canal station with the crew launching their life boat. 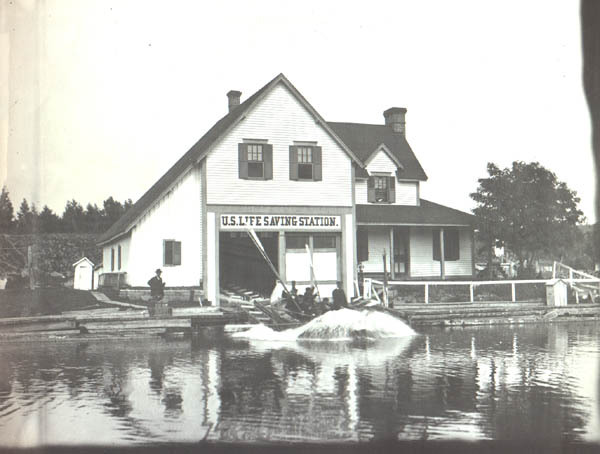 Another view of the Portage station in a new location on the north side of the canal after the previous station was demolished. A black and white photograph of the above postcard which shows a little greater detail. A back side view of the stations newer boat house. This boat house was located directly across from the old lighthouse that once stood on the bank across the river. 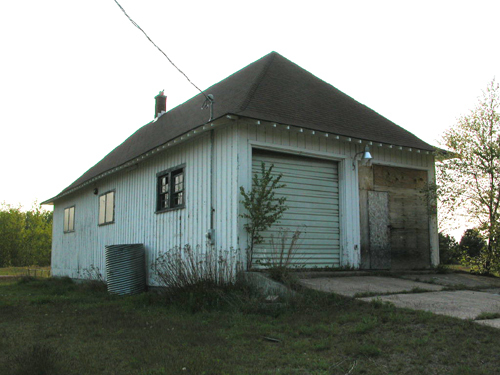 A front side or river view of the stations newer boat house. The boat ramps would launch the surf boats and life boats into the river where they could exist into Lake Superior. 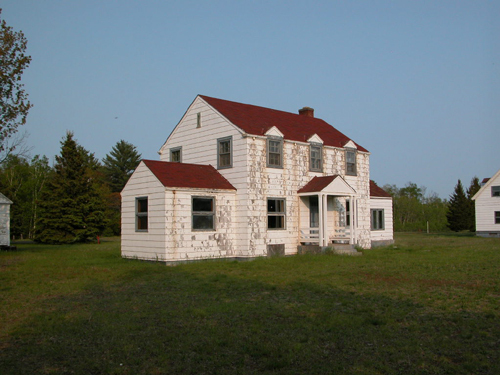 The rear view of the original 1800's boat house which is still in fine condition structurally. 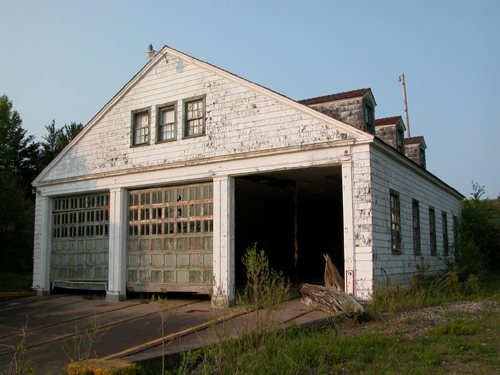 The front view of the original 1800's boat house showing where the two boat house doors would have been, now changed out to modern roll up doors.. 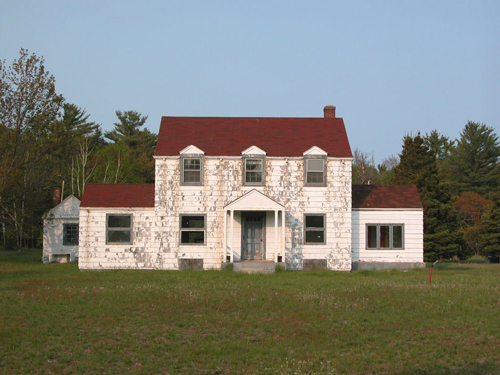 The side view of the original 1800's boat house.